Thanks for stopping by, your comments and favs are always appreciated. Looks like hard work, but great capture! Fabulous capture of this little bird. Hope he foubd a reward for the cold feet! This is so cute. I love that snow on his beak. Ha ha! Love his little snow-beard! Very cute! This made me chuckle. Love the snow all around the beak. That's really cute! I love how the snow sparkles. I was always taking photos trying to capture the sparkle when we were there. Ha ha, that made me laugh out loud! Brilliant capture. 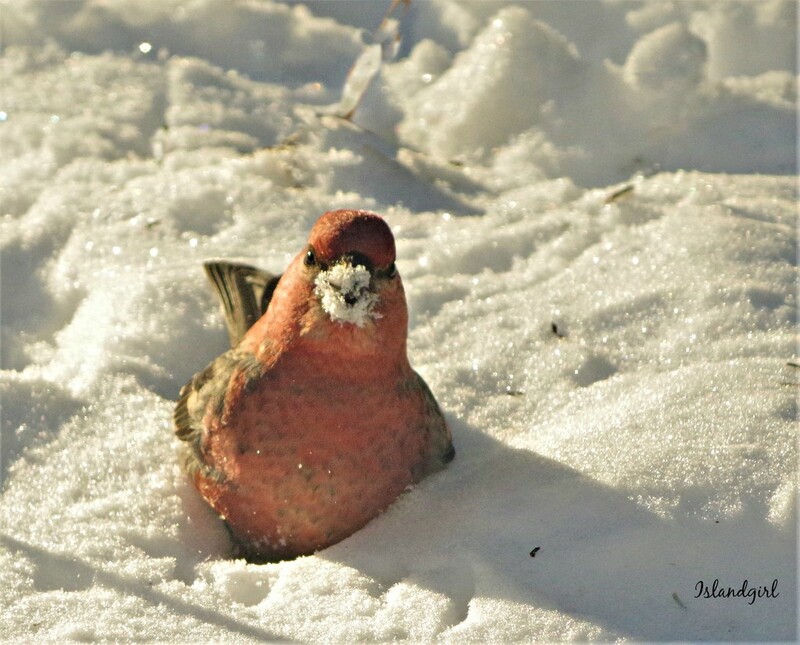 to be honest I never considered a small bird would dig through snow - this is stunning! Poor bird! I hope this beautiful bird found something to eat.